Question: What do the following force measurement applications have in common? Destructive and non-destructive testing in laboratories. Answer: They all require unusually large load cells typically custom-made for the application and not found in stock. In mine shafts, for example, the load on the roof of the coal seam is continually monitored by a heavy duty, high capacity load cell, to alert miners if there is a risk of roof collapse. The coal seam is mined in an engineered pattern that keeps approximately half the coal in place to support the roof of the active mined area. 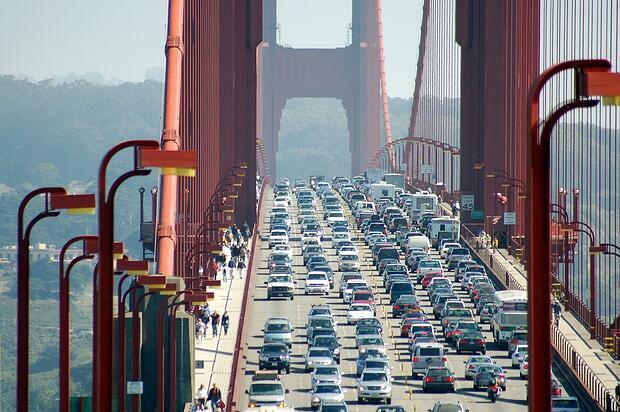 High capacity load cells are also used to monitor running loads and weight on bridges. These systems measure load distribution on bridges, allowing measures to be implemented to protect the bridge structure and drivers. 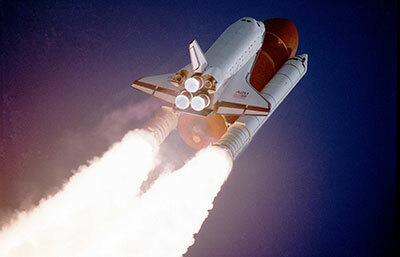 Load cells are used in rockets to monitor the thrust force pushing the rocket airframe. Vertical takeoffs from Earth require a thrust force that is 30 to 50 percent greater than the weight of the rocket and its payload – which can place considerable strain on the frame. Monitoring actual loads, as opposed to calculated load, provides invaluable information in the fine tuning of airframe design. So what are the key design considerations when producing high-capacity load cells for large load applications? First, high capacity load cells are often integrated into a machine, system, or structure with little space in which to install the sensor. As a result, heavy duty load cells should be designed to be compact, small, and light in relation to their capacity. We have designed and built high capacity load cells as small as six inches in width and one inch in height. Another advantage of these compact designs is that they cost less and are easier to manufacture, assemble, and integrate into a load-monitoring system.Second, an additional matter is geometry. Usually, the bridge, tank, or other equipment in which force is to be measured, has been previously built and installed. 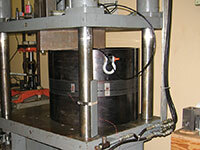 A retrofit is often needed to install a high-capacity load cell. Like a piece in a jigsaw puzzle, the geometry of the load cell must be such that it fits into the structure or equipment it is monitoring. The load cell supplier must design the overall geometry of the load cell to the required shape so that it can be incorporated into the existing equipment. This may require machining the outside geometry of the load cell to be square, rectangular, circular, or any other shape needed to fit the available space. Lastly, several of the systems in the application list cannot function safely without monitoring the forces they are subjected to. Timely design, fabrication, and delivery of the proper capacity load cell are critical to the success of the project. At Sensing Systems, our nimble manufacturing operation enables us to deliver custom load cells with capacities of one million pounds and higher in as little as four weeks or sooner – a capability not many companies can duplicate. One of our strategies for rapid delivery of high capacity load cells is to incorporate our standard sensing elements into a shape that fits the customer’s application. This allows us to quickly fabricate a high capacity load cell matched and customized to the structure where loads and forces are being measured. Delivery and installation of large scale load cells depend in part on the speed with which the load cells can be calibrated to NIST traceable standards. Only a handful of locations with NIST traceable standards can calibrate load cells to a million pounds or more. Our in-house capabilities and our long-standing relationships with large-scale testing facilities help expedite NIST calibrations for our high capacity load cells. To ensure safety and structural integrity, all loads must be measured accurately. 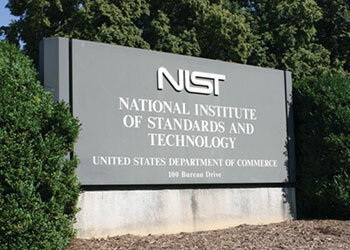 Given most accuracy requirements and scarce availability of NIST traceable standards for capacities of one million pounds and higher, accuracy should be within a quarter of a percent (0.25%) of full scale. Load cells are used for monitoring and/or control. Ideally the output of the high capacity load cell matches existing instrumentation and data acquisition equipment. High capacity load cells can be designed and manufactured to provide the desired output so it may be interfaced to any instrumentation, controller, data acquisition equipment, or visual display system already in use. Outputs of 1.5 - 3 mV/V at full scale are typical. Alternatively, signal conditioning may be incorporated into the unit to provide high level output signals of 0-5 VDC, 0-10 VDC, or 4-20mA. High-capacity load cells may also be designed to operate in extreme environmental conditions. These include, heat and cold, corrosive environments, and underwater. When you need help in the development of a high capacity or large scale load cell, it's important to work with a provider that can deliver the customization you need. Sensing Systems has extensive experience in both the manufacturing and the calibration of high capacity load cells to withstand weights higher than 1 million pounds. If you are interested in learning more about our capabilities, please contact one of our specialists. We would be happy to answer your questions and help you obtain the exact high capacity load cell for your particular application.